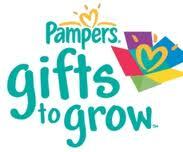 mommy's reviews: New Pampers Gifts To Grow Code! Enter to win Coffee-Mate~7 Winners! Enter to win a 1500 count sheet set! Enter to win a Yoplait Prize Pack! Enter to win Sarris Chocolate Pretzles! Enter to win an Evenflo Simply Go Breast Pump! Spring Cleaning Can Be FUN! Win a Britax Frontier Car Seat! Avery Office Products Review and Giveaway! FREE Pancakes at IHOP TODAY!